If you can help, please respond here or on the Message Boards. Thanks! I have many symptoms of cushings, I have used cloatasol propionate for about 5 years for my chronic eczema I was on oral steroids in July then high dose steroids again in September. thejuly in July it was for a severe eczema breakout and in September it was for sudden hearing loss. Now I need a hearing aid. I seen one place after googling that connects cushings with sudden hearing loss. Has anyone dealt with this? Today, I’m grateful that there have been no more Growth Hormone problems like the one below. Me: My $450 monthly co-pay refrigerated medication was overnighted to me yesterday, arrived a couple miles from my house at 7:05 this morning. UPS couldn’t get it to me today so they’ll “deliver it tomorrow between 12:30-4:00” .If that ice is melted, the medication is ruined. I see angry phone calls tomorrow. Friend 1: My Specialty pharmacy replaces it free of charge if that happens. Or at least that’s what they tell me will happen. I asked because our UPS driver is terrible. Me: We’re on the phone with the pharmacy right now. Friend 2: OMG, you have one of those copays too? I hope the pharmacy replaces/handles it. “At least” it’s tracked, so clearly documented as being en route for too many hours. Me: Yup. People not on Medicare can get this close to free. 😦 I hate this, ummm, stuff. The drug companies HAD (in our case, until this year) worked around it by funding independent patient copay programs to avoid the bad PR/increased regulation risks from being like Gleevec a decade ago (let’s bankrupt the cancer patients for whom this works and keeps them in remission indefinitely! ), but at least with the myeloma oral chemos they’ve pulled their funding and the copay assistance programs have shut down, AND they’re raising the prices 20% (in the US, not countries that can legally, oh, bargain with pharm companies) to cover other drug failures. (I’m sure they’re hardly turning any profit at all, though, and the combined actions are totally 100% necessary. And I’m someone who *wants them* to turn a good profit so they’re incentivized, but come on. It’s absurd that the $$$ drugs that are a quick sub-q injections in an office building is fully covered by Part B and supplemental, whereas the “patient convenient” pills cost one $13k or so annually in copays. Friend 2: But aside from my thread jacking rant (😳), I really hope you’re a) not entirely out right now, and b) it’s resolved at no additional cost to you or having to stay home again all day to sign for delivery. 😦 This is the 4th person. 🙄 Will they send at no cost if it arrives ruined? Like, you can have a time stamped photo and video of melted ice, and the tracking info with a delivery time stamp? It should really come out of their insurance or likely-contract with UPS. Me: Don’t know yet but they’ve added a 5th person on the line. 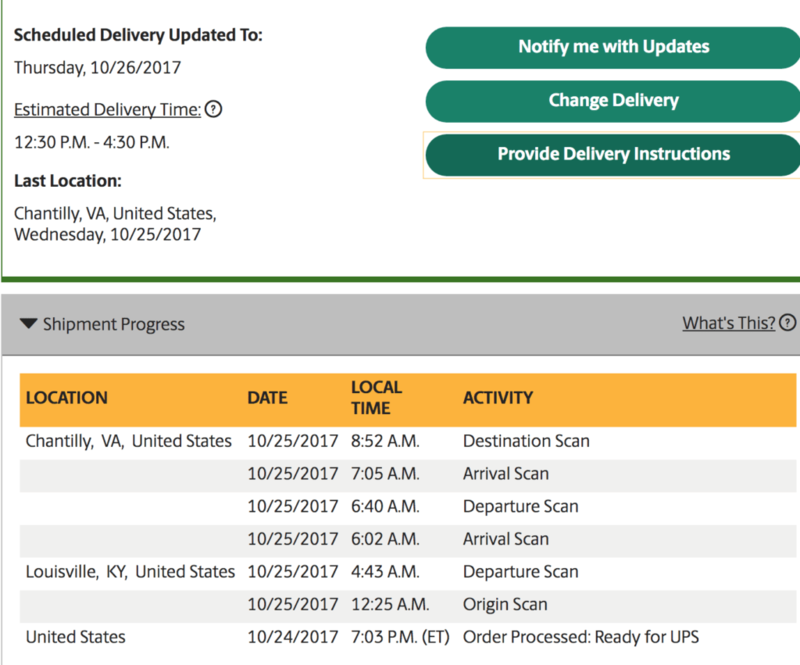 This can’t be the first time UPS messed up a temperature-sensitive medicine. 🙄 to the phone mess? Friend 3: I had that happen but it would have made it 3 days. I told them the cost and how long it could be in shipping. If they were to do as planned, it would be on them. They got a courier and I got it that night. Friend 4: I would report it to whom ever you get the medication from . When I was getting a refrigerated medication they would never send them to arrive on a Sat.or around the holidays. They always made sure I got it next day Shipment ! Me: I guess they saved the money but the Next Day got lost somewhere. Friend 5: UPS explained to me that when the package is labeled “Air Saver” UPS can deliver the package anytime that day. If the package is labeled just Next Day Air, they have to deliver it in the morning. The problem is that the RXplan won’t pay the additional amount required by omitting the air saver. Friend 6: Praying you get this mess resolved!!! Friend 7: This is what shipping insurance is for; it’s between the pharmacy and the shipper. ETA: only stable up to 24 hrs at room temp. Friend 5: Mary, I had the same problem on a day Texas temperature was 104 degrees. UPS delivered my GH the correct day but after 7 pm. The medication was warm when it arrived. My specialty pharmacy gave me a hard time about it. I phoned the manufacturer and talked to a nurse on the support team who said the med needed to be replaced and to have the pharmacy contact her if needed. I called the pharmacy and argued with the pharmacist for 15 minutes. I asked him if he wanted to be responsible for my taking a medication that wasn’t safe. He finally agreed to replace it. The box with my med was only half covered by the cold packs, and the tracker didn’t show damage, so the pharmacy argued about replacement. I responded with the fact that those trackers are not always accurate. They can and do fail. If he had continued to argue, I would have insisted he talk to the nurse with whom I spoke.I called my insurance plan and complained about the pharmacy. If you call the manufacturer of your med, be sure to get the name of your contact there. Good luck. I’m sorry you have that hassle. Friend 8: So sorry!! Hope it gets to you in good, COLD condition. What an aggravation for you. Me: This doesn’t require a signature so they usually just drop it and run. Luckily, we have a dog who will sound the alarm. Me: 4:31 PM. The “window” today was 12-4:30. It’s still not here and back on the phone. Me: I forget to mention that it’s going to take 8 days to track this package. Egads! Friend 2: I will say that FedEx has been really consistent with ours (which ironically would basically be fine if lost for a few days, aside from extreme temperature ranges), though the whole designated “morning” and “afternoon” windows are a joke. (“Afternoon” has come before 8 am, “morning” at 3:30pm…but always the correct day! Just irritating since it’s so regulated – next-gen thalidomide, all those birth defects – it *has* to be signed for.) In case they’ll let you request FedEx after this. Me: Today’s meds are coming UPS again but it shows as “Out for Delivery” today. Then, again, it said that on Wednesday, too. The difference is today has to be signed for and it’s supposed to be here by 10:30 so I can take my mom to a birthday lunch. Today, I’m thankful for my “Cushie Car”. 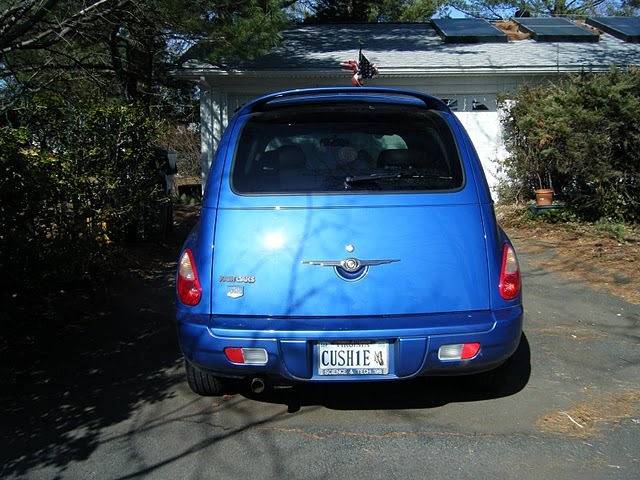 Since I started attending Cushing’s events, I’ve always tried to rent a PT Cruiser. There’s just been something about them that I liked. A couple of years ago, after my son was out of school, I was getting tired of driving the Mom-Carpool-Van everywhere. I think my mom was getting tired of stepping up into it, too. She doesn’t drive anymore, so she relies on whatever vehicle I’m driving to get her to appointments. So, I was delighted when she offered to pay for part of it. She didn’t realize it was going to be bright blue, though. I think she was thinking of navy or something more dignified. Anyway, I had the car picked out, and the exact color I wanted and set off to the car dealership with my specs. They told me that the Cruiser didn’t come in this shade of blue. I’m sure that they wanted to sell one of the colors they had on the lot. I got back to them and told them that I found this car online and I could go get it myself. Suddenly the dealership was able to get it for me, too, so I won out. WooHoo. The Barrow Pituitary Center is dedicated to educating patients, caregivers, and loved ones by providing information which is current and non-biased. Experts at this conference will address management of the emotional and physical elements of living with pituitary disorders. We hope attendees will leave empowered to make better-informed decisions about their healthcare and achieve their goals for a long and fruitful life. For more information contact Maggie Bobrowitz, RN, MBA, at (602) 406-7585 or Margaret.Bobrowitz@DignityHealth.org.